You’ve probably heard by now that eating a mostly plant-based diet is ideal for your health. Food writer and researcher Michael Polan summed up the key to health and longevity with a phrase that’s caught on in the wellness world: “Eat food. Not too much. Mostly plants.” Sounds simple enough. But shopping and storing all the fruits and vegetables you need to make plant-based meals for a week can be completely overwhelming. Luckily, Daily Harvest is here to make healthy eating a no-brainer with fast, easy, no-mess recipes delivered straight to your door. 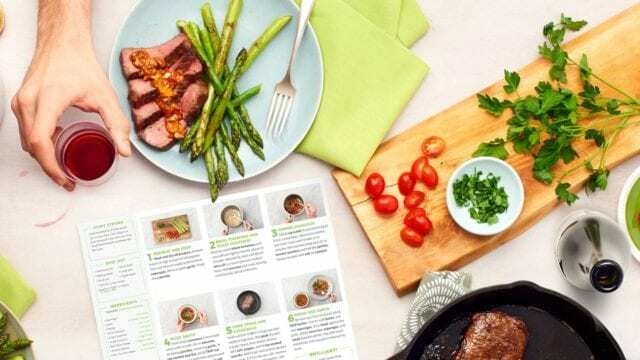 Read our full Daily Harvest review to see if this is the best meal kit subscription service for you. While most home delivery meals are geared towards dinner, Daily Harvest is unique in that their recipes are designed to make breakfast, lunch and even cleansing as easy as possible. 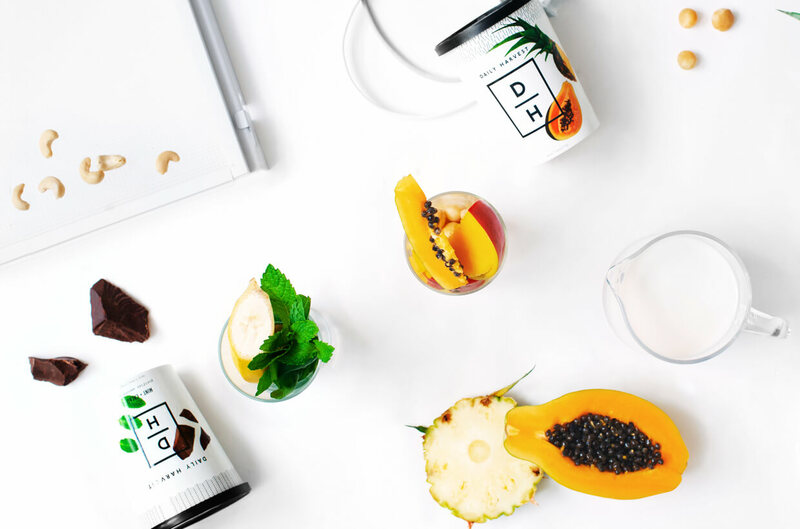 This company is a subscription-based service that delivers all the ingredients you need for smoothies, soups, harvest bowls, overnight oats and parfaits to you. Ingredients come frozen in convenient (and recyclable) to-go cups. It couldn’t be easier to start your morning with a smoothie jam-packed with nutrition. The recipes are all designed for busy lifestyles. All you need to do to whip up one of their smoothies is dump the pre-portioned, frozen ingredients into a blender, add your choice of liquid base, blend and pour back into your cup. In as little as five minutes, you’re ready to head out the door with your healthy morning fuel in hand. Other recipes like harvest bowls and soups only need to be heated up. 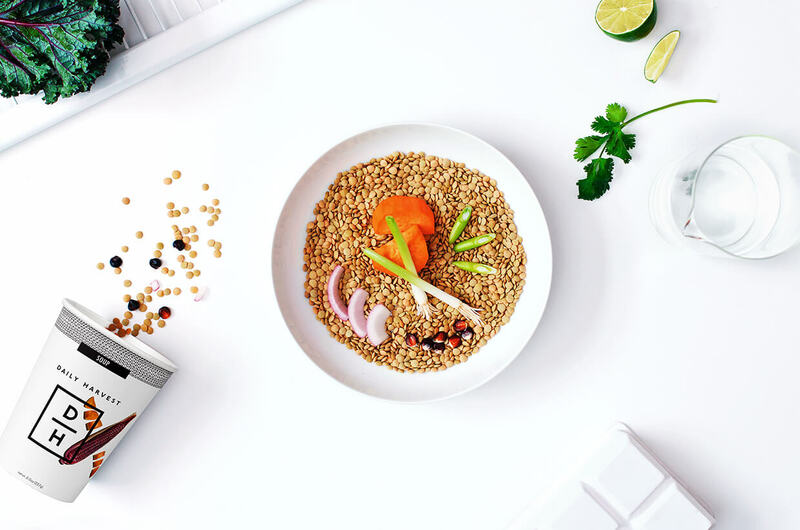 Food combinations are developed by a celebrity nutritionist and chef, and the company is backed by Gwyneth Paltrow and Serena Williams! The smoothies are so good, it’s hard to believe they’re also extremely good for you. Easy clean-up: You won’t have any dishes to wash because containers are included. Easy plant-based meals: Switching to a plant-based diet can be tricky. Daily Harvest makes this process easier for you. 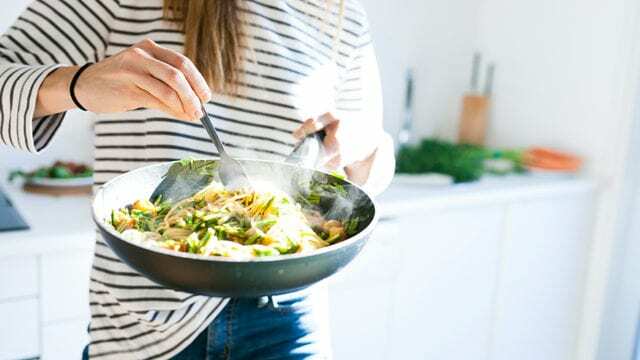 You’ll be able to eat quick, delicious plant-based meals without the hassle of figuring out what to eat and shopping for ingredients. 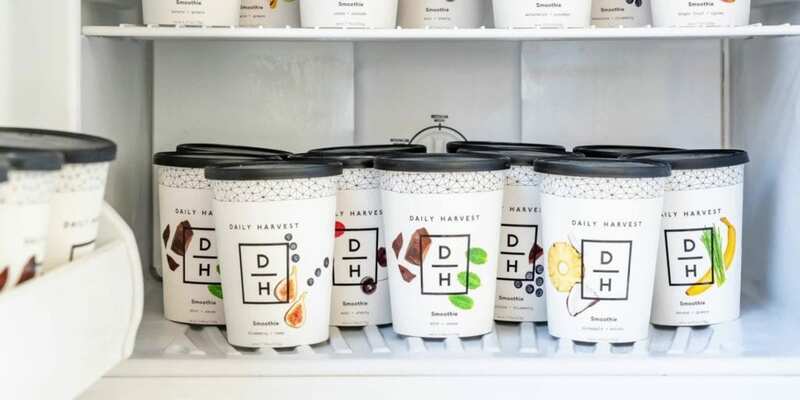 Flavorful, organic produce: Your smoothies, bowls and other products from Daily Harvest will always have high-quality, organic produce. Little prep and cook time: Ingredients come frozen and pre-portioned. You can spend your time doing something besides getting ready to eat. No added ingredients: Daily Harvest does not add sugar or other ingredients to their meals. 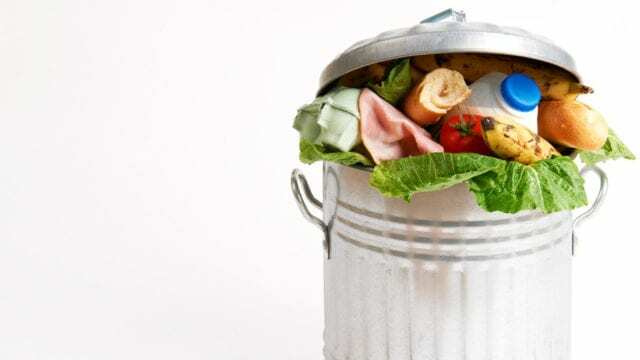 No food waste: Ingredients are pre-portioned in individual to-go cups or containers. This means that you’ll no longer have little bits and pieces to figure out how to use or throw out when they go bad. Reasonable prices: Fruits and vegetables (especially organic ones) can be expensive to buy and turn into meals yourself. Considering how much nutrition you’re getting and how easy this service is, Daily Harvest is a great deal. Few dinner options: Daily Harvest doesn’t have a lot of options if you’re looking for a service to take care of dinners for you. This service is best for breakfast, lunch or cleansing. 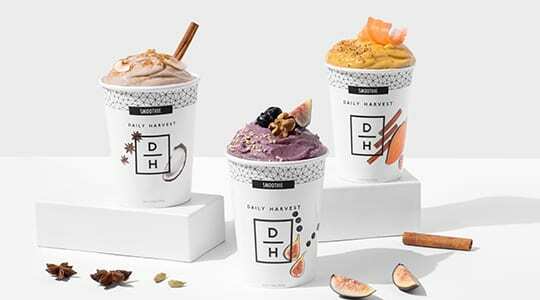 No meat options: Daily Harvest is designed for vegan, plant-based diets only. If you like to have meat as a major part of your diet, this might not be the right service for you. When it comes to food quality and ingredients, Daily Harvest comes out on top. It’s arguably the best meal delivery service for fresh, organic non-GMO produce. Daily Harvest works directly with local farmers to make sure every fruit, vegetable, and superfood is as good as it can be. While not all the ingredients are certified organic, they are all grown on organic farms. Daily Harvest understands how expensive it can be for local farmers to be certified organic (even when they already are) and works directly with farms that are on the pathway to certification to help them get there. This company is also committed to the most sustainable farming practices and are always looking for ways to improve and innovate. Daily Harvest is also unique when it comes to freezing their produce. It believes that fresh produce isn’t always better. Ingredients are picked at their peak ripeness and frozen within 24 hours to seal in the maximum amount of nutrients and flavor. In a test, frozen blueberries had 200% more vitamin c after 3 days than fresh blueberries did. Frozen cauliflower had 50% more antioxidants than the fresh variety. Frozen spinach had 25% more vitamin E. The flash freezing process ensures that frozen foods stay as fresh as they were the day they were picked. Daily Harvest reviews also say that the food always tastes fresh too. 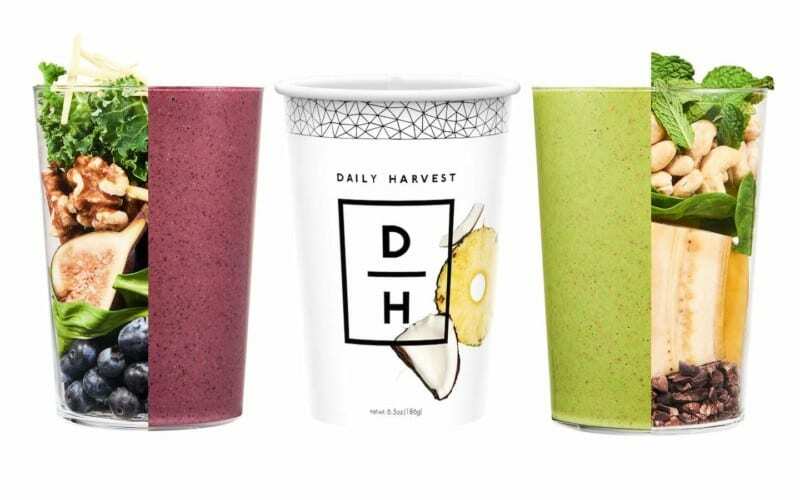 Daily Harvest works with a Michelin-trained chef and celebrity nutritionist to offer over 30 different delicious menu options. You won’t find any comfort food recipes here, though. All the recipes are vegan, gluten-free, nutrient dense, pre-portioned and frozen. 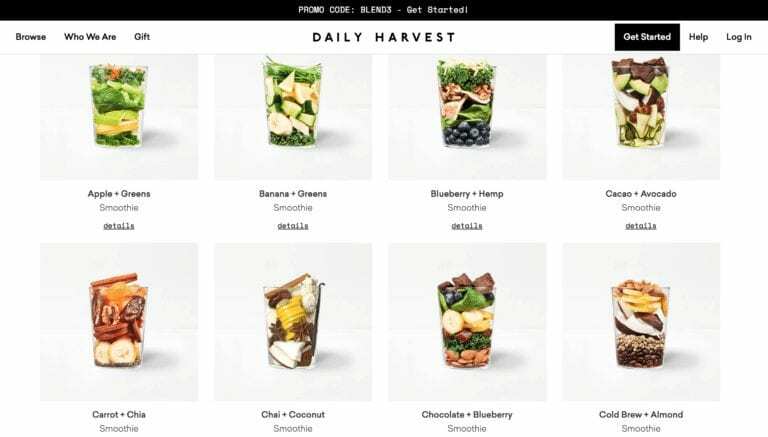 You have the option to choose between smoothies, harvest bowls, soups, lattes, overnight oats and parfaits. Recipes are designed to be easy to make breakfast and lunch options, but of course, some can be used as healthy dinner options. All the recipes are also great for using on whole food cleanse. It’s estimated that 19% of Americans have used a meal kit delivery service, and most of them are Millennials and Gen-Xers. The main complaint from these meal delivery service users is that there’s too much prep involved in recipes from services like Plated or Blue Apron. With Daily Harvest, there’s virtually no cooking or prep involved. If you want to eat healthier but can’t stand the thought of chopping produce and wait for your meal to cook, try Daily Harvest. Ingredients come pre-cut and frozen in individual containers. All you need to make most of their recipes is a great blender. Many Daily Harvest reviews love how easy this service makes meals. With Daily Harvest, you can build your own box. You can choose between a combination of superfoods in the form of smoothies, soups, harvest bowls, overnight oats and parfaits. All recipes give you a full nutritional breakdown and advice on what they’re best for to help you decide. For example, their ginger and green smoothie is recommended for digestive support, cleansing, beautifying and fighting inflammation. If you’re worried about bloating, this recipe’s here to help. You can opt for a weekly or monthly delivery plan. With a weekly plan, you can choose to have 6, 9, 12 or 24 cups delivered per week. For 6 cups, the price starts at $7.99 a cup or $48 a week. The price goes down the more cups you buy. With a monthly plan, you only have the option of having 24 cups delivered each month, which drops the price per cup down to $6.99. Pre-portioned cups with pre-cut ingredients arrive at your door in a box with insulated packaging ready to be blended, heated, soaked or put in the freezer for later use. It’s easy to unpack your box. Just pop the pre-portioned cups with sealed lids into your freezer or put them to use right away. To make your recipe, just open the lid, add the recommended amount of liquid base and either blend, soak or heat up. After our Daily Harvest review, we feel that this service is best for anyone looking for a meal delivery service with healthy, convenient breakfast and lunch options. It’s also great to use when you’re cleansing or if you follow a strictly vegan lifestyle. If you never want to step foot in a grocery store again, you could use this meal delivery service along with another one that offers dinner options. There’s little prep work involved in the recipes, so it wouldn’t be overwhelming to use along with another service like Plated or Hello Fresh. Daily Harvest is also a great option for anyone who doesn’t have a lot of experience cooking. Because the recipes arrive frozen, the monthly meal plan is great to keep your fridge stocked with healthy, easy, last-minute meal options. 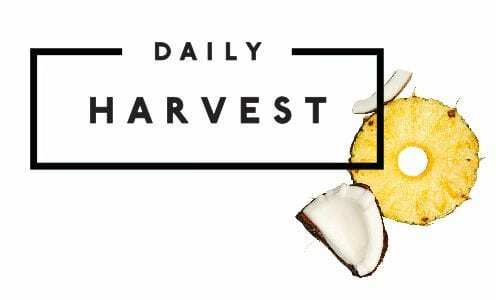 You can learn more about Daily Harvest by visiting its website. Have you used this service? If so, leave your own Daily Harvest review below.